Hi there! 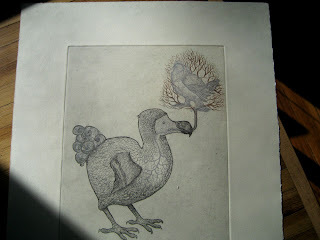 I just posted a painting of a Long-eared Owl to my Etsy shop, as well as a new, 2 color etching of a Dodo. Both were earlier posts. Also, I have been compiling a Tiny Aviary mailing list for those that wish to be notified when I have new work available. If you wish to be on this list, just drop me an email. Thanks!